Lots of vendors and good clinics. Roster will be at the Pounds booth. The 40 SC Stanton TX has cancelled the Ranch Rodeo Series this year. It will return next year. Take a break and meet for lunch. Then shop around the corner at The Tack Shop. Cowgirl fun ! Join us for lunch before we head out to the races in Ringgold. First Gymkhana date for the 2019 season…… come out and play! 5:30 PM VETONI’S IN GRAHAM TX COME JOIN US FOR A MEAL AND CHATTING IT UP!! FIND OUT WHAT WE’RE ALL ABOUT!. GUEST WELCOME!!!! We will be announcing our 2018 Local Chapter Annual Award Winners! Bring a friend too! We will be making some final plans for our April Horse Show-scholarship fund raiser/Angel fund. Come join us for our monthly meeting on Tuesday instead of Thursday for this month only! Join us for the opening of “Its Never Just a Horse” in the Kit Moncrief Galleries. Must be a museum member . Email sflow@cowgirl.net to reserve your spot. Monthly meeting and birthday celebration! Game Night at Anne’s house! Depending on the number of people, we may play Bunco. 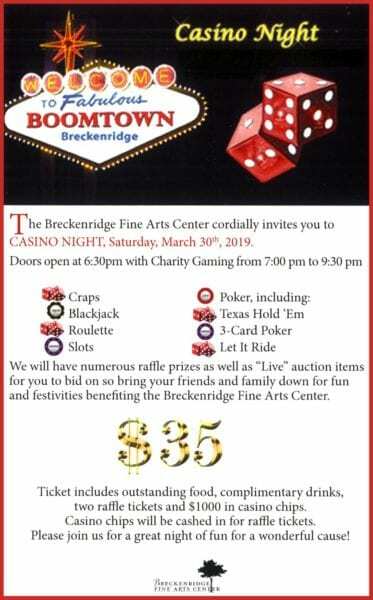 Bring $5 buy in for Bunco. BYOB and bring a snack to share. Cowboys are welcome! Join us as we celebrate our cowgirls and win prizes. Potluck at Queen Ambers house. Call for directions and gate code. We will also be having our general meeting. See you there! Join us for our March meeting, special guest will be Herpetologist Jon Flournoy, to teach us about good and bad snakes and how to identify them! All welcome, please bring a covered dish to share. Quarterly Online meeting for 40SC Royals, details will be posted in Royals FB group. Come join us for dinner as we plan our next events. Meet our Cowgirls and enjoy some good fun !! We are gonna eat one of our favorite style meals—Mexicana! The cowgirls love them some mexican food!!! Woot! Join us! For fun, and enjoyment! No pets allowed, bring money and find the treasure you’ve looking for. Dress warm. Whoop whoop let’s ride cowgirls! Don’t forget to take a selfie ( ID#, expiration). Come join us for an afternoon of Texas Country Music. I you have never heard these guys you are in for a treat! 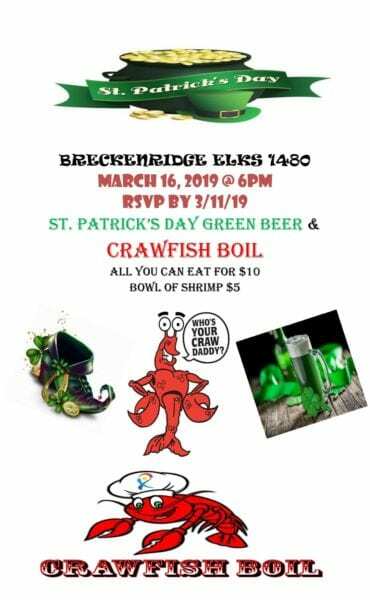 Join us for some crawfish! $5 a bowl or $10 for all you can eat! Oh, and some green beer! This event is sponsored by ETI Corral 138, if you are not a current member an insurance fee will be due. Mulligan Stew trail ride, bring a can of vegetables to add to the stew. come on down and support the Middle school music program. Single use Bingo cards $1.00, Reusable Bingo Cards $5.00. Dinner $5.00 snacks available for purchase. Come out and watch our ladies in pink bowl. They are on different teams, so it’s a lot of hoot and hollaring going on. Come out and get some riding in. Any level of rider encouraged to attend. Work your young or seasoned horse on cattle. Or just come to watch others work their horses. Three days of fun, learning and shopping. Stop by my Pounds booth to sign the Roster. If you miss me take a picture and send it to me with # and exp date. Salem Or. Tulip Fest Opening Week @ 33814 S. Meridian Dr. Cost is $5.00 a day plus $1.94 fee. Enjoy the beautiful Tulips in all their glory. Bulbs may be purchesed. Come out and join us for this Obstacle Workshop with trainer/clinician Jimmy Wayne Zercher. 9:00 AM to Noon. Lunch will be provided. Fort Worth Market Trail is setting up at Wild Acre Brewing Company! Great line up of local artists and vendors selling their products. Shop while you enjoy some amazing local brews. This is for Newberg Chapter members to plan our Poker Ride Event on June 15, 2019. Check out the registration link on our Marvelous Mavericks FB page to pre-pay/register for class. We will be making plank signs. Come on over, lots of beautiful flowers for sale. There may be a few suprises in store. Snow has melted and spring is here, time to start planning some fun horsey activities!! Come on out to ride in Palmdale. Email, call or text for directions to the staging area. Come help celebrate our 2 year anniversary! Food! Sales! Drinks! Cake! Drawings! Pack a lunch and some refreshing drinks another all day ride!!!! McMinnville, OR ~ Annual Chapter Awards Party! @ Princess Cindy's House! Helen Winn will guide us from her farm through the forest to a waterfall. Bring your lunch or a snack if you like, we will stop along the way to eat.